I don't agree with the idea that WMATA should just keep ordering 7k's to replace the 2k and 3k cars. I believe it is much smarter to make some design changes with the 8k cars. The reason for this comes down to having variety in the fleet.. which helps to avoid a situation where the entire fleet is compromised by some future defect identified. Per example.. the 1k and 4K cars. After decades the 1k cars were discovered to not be crash worthy. The designers of the 1k cars knew going in that they would not be as crash worth as common carrier passenger cars. They sacrificed crash worthiness for light weight, to compensate for the crash worthiness a robust double redundant train control and signal system was employed. Problem was WMATA did not maintain that train control and signal system to its designed specification which would have prevented the event of 06 22 2009. Then later the 4k cars were taken out of service because of a defect. Then again moved to the center of trains because of another problem. That defect would have been removed had WMATA done the mid life rehabilitation to the 4k cars upon completion of of the mid life rehabilitation 3k cars. This is why the entire fleet cannot be the same. You need variety for situations like this where defects are found down the road. Car design variety creates spare parts inventory issues. The 4k cars were the orphans of the fleet because of their numbers and the lack of commonality of parts. Virtually all of defect discovered in the 7k cars were correct through software. As far as I am concerned WMATA should sign another contract with Kawasaki to build more 7k cars and or build a new open gangway car shell fitted with the same hardware in the 7k cars. I agree with John, but he forgot to mention not just parts but also tooling and expertise commonality as other reasons to standardize. Dan Tangherlini spoke on the subject as well. Sand Box John wrote: [i]"Chris Brown"
So crystal balls exist now? That's an absurd statement. You don't know until something happens. What happened with the 1k and 4k cars are a perfect example. Those cars were produced in the 70's and 80's/90's. I know you gave good "excuses" for these car defects by blaming "sacrifice" and irresponsibility from WMATA as the reason those cars failed. But in the real world "shoulda, coulda, woulda" is not an acceptable justification for anything. Nore is it an excuse to avoid variety in the fleet. Those cars failed and so can the 7k cars in 10, 20 or 30 years for a variety of reasons that can be related to the cars themselves or WMATA. What happened with the 1k and 4k cars are a perfect example. Those cars were produced in the 70's and 80's/90's. I know you gave good "excuses" for these car defects by blaming "sacrifice" and irresponsibility from WMATA as the reason those cars failed. But in the real world "shoulda, coulda, woulda" is not an acceptable justification for anything. Nore is it an excuse to avoid variety in the fleet. Chris, there have been two line of thought on the design of railroad rolling stock and the system that support them for almost a century. They are, build them heavy and build them to not crush on impact and build them light to allow high speed and run them on a railroad with a robust signaling and train control system to avoid impact. The heavy typically is more depended on the human to maintain safety where as the lighter depends more on technology to maintain safety. WMATA chose the lighter for a number of reasons, It requires less energy, it allow for faster acceleration and braking and higher speeds, it requires lower axle loads reducing structural costs and wear . . .
One of the reasons why WMATA stations are of similar design was to standardized all the pieces and parts needed to built them and more importantly to keep the verity of pieces and parts need to maintain them to a minumn. This line of thinking exists throughout the entire system. Those cars failed and so can the 7k cars in 10, 20 or 30 years for a variety of reasons that can be related to the cars themselves or WMATA. Those cars failed, more specifically the 1k cars, because WMATA ran the crap out of them during the early years of their lives. Running the crap out of them reduced their service life as the result of wear and tear. The primary reason why they had the crap run out of them is WMATA didn't have them in suffcent numbers. Sand Box John wrote: Chris, there have been two line of thought on the design of railroad rolling stock and the system that support them for almost a century. They are, build them heavy and build them to not crush on impact and build them light to allow high speed and run them on a railroad with a robust signaling and train control system to avoid impact. I understand all of that and it makes perfect sense. My only point is that complex vehicles like rail cars can surprise you. This kind of thing happens with regular passenger cars all the time. Airbag problems and other defects are discovered years down the road and a re-call is put out on those vehicles. There is no such thing as "perfect" when it comes to anything man made. That is just reality. Having some level of variety in the fleet allows for an insurance policy if such a defect is found down the road. Sure it might be a little more inconvenient. But WMATA currently has six different types of cars to maintain. Going from that number down to two or three should not be THAT much of an inconvenience. Figure, in the coming years we will only have 6k, 7k and 8k cars. I think a good ratio is to have about 33% of the fleet be a single series. That gives you a full fleet made up of three types of rail cars. You can limit some to certain rail yards to make things feel more "standardized". Like only have 7k cars at some rail yards. Have only 6k cars at others. Etc. Has anyone heard anything new about the design ideas for the 8k cars? I have a feeling WMATA will not make these identical to the 7k's but probably very similar. Amplify by Metro sent out a survey asking for feedback on the 8000 series railcars today. YOLO wrote: Amplify by Metro sent out a survey asking for feedback on the 8000 series railcars today. Having four sets of doors was discussed in another thread and the reason given was weight. Apparently adding the extra doors would make the rail cars too heavy for WMATA's track specifications. However, others have said systems in other cities manage to have more doors per car and still have a lower weight than WMATA's current trains. So who knows. I really don't know how heavy an extra set of doors can really be. My gut tells me its more about money. I think that number of doors per car somewhat becomes moot once trains run consistently as all 8-car trains. You're then getting extra doors and extra cars, and riders can regularly spread out across the entire platform without worry about whether an 8-car train is coming. I heard today the technical specifications are well underway. Two key takeaways from what I heard is that they will be open gangway 4 car married quads and they won't be compatible with the 7000 series. dcmike wrote: I heard today the technical specifications are well underway. Two key takeaways from what I heard is that they will be open gangway 4 car married quads and they won't be compatible with the 7000 series. Interesting they won't be compatible with the 7000 series. Looks like WMATA is going in the direction of making each series its own version. Makes me wonder if this will lead to some series only being on certain lines and parked in certain rail yards in the future. Either way, I'm excited we will get to see another brand new design in the next few years instead of just a newer version of the 7000 series. Metro has deferred the acquisition of 8000 series trains for 5 more years according to the FY19 budget doc so don't expect these to pop up on the tracks until 2030 time frame. 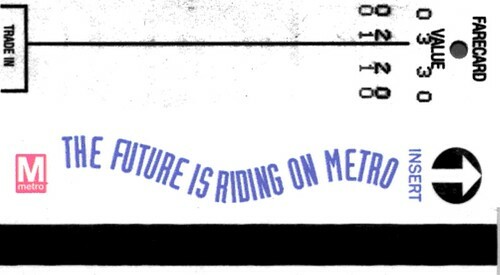 YOLO wrote: Metro has deferred the acquisition of 8000 series trains for 5 more years according to the FY19 budget doc so don't expect these to pop up on the tracks until 2030 time frame.